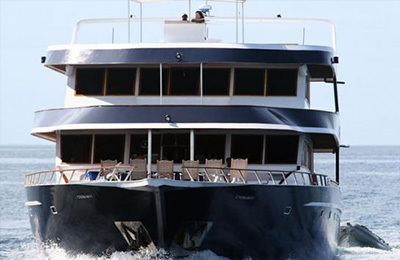 The Hariyana One has 7 cabins and is able to sleep up to 14 people, but we limit our surf charters to max 12 surfers. All of the cabins come with their own ensuite bathrooms and individually controlled air conditioners. The boat features a large sun deck where you can chill out with beers and has two support vessels: 16m dhoni and a 5m dinghy. There are many places around the globe that surfers would define as paradise and the Maldives is definitely at the top of the list. As a destination for surfing perfect waves over a crystal clear reef in a tropical setting it doesn’t get much better than this. While breaks in the northern atolls have gained most of the attention thanks to several resorts and charter boats that offer easier access, the central and southern atolls are where new discoveries are being made. The best way to reach these more distant locales is by charter boat, and while it might take just a bit longer to get there, you and your mates will likely be the only people in the water !! 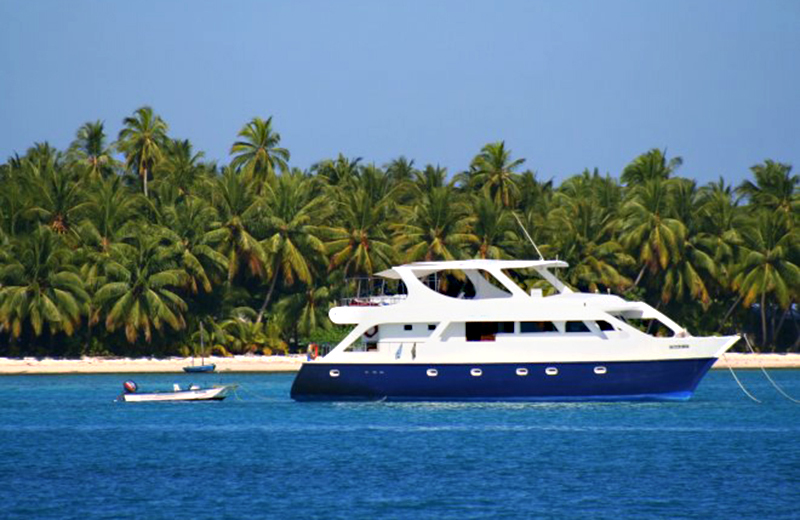 The boat combines safety, comfort and technology with a Maldivian design. 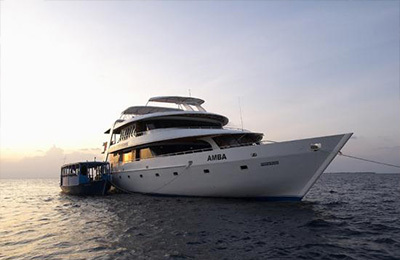 Your captain is highly experienced in sailing around the Atolls and will get you around the Atolls safely, while your experienced surf guide will take you to the best spots based on the given wind, swell and tide conditions. There is a large dining area where you will be served local Maldivian food three times a day. There is also a fully stocked bar where you enjoy cool soft drinks, beer, cocktails and alcohol. 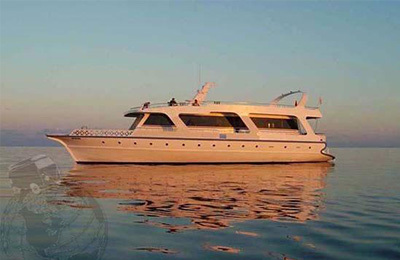 Both individual and exclusive groups are welcome on board Hariyana One. Surfers : 12 surfers max. The best internet access now is a data SIM for a smartphone. You can then set your smartphone as a hotspot to service any tablet or computer. The data SIMs that the company offers for rental ($20 for the trip)have 1.6 GB available and if you want more data, you can recharge anywhere in Maldives. Groups can also use one SIM if they are low users and are willing to share. Please let us know in advance your phone type if you require a SIM card for your trip so that we can ensure it will be available. In general the Maldives rely on the same swell as Indonesia with the best and most consistent swells coming from April to October. Swell size will likely peak from June to September when south swells from the southern Indian Ocean make their presence known on most of the exposed breaks. This is also the time of the southwest monsoon and many of the spots can see offshore conditions. The waves will normally range from 4-8 feet, with occasionally bigger days. February and March, considered the early part of the season will see fun surf and more stable weather but swells will vary, arriving in the small to medium size range. The same holds true for November when the season is coming to a close. Huvadhoo and Addu Atolls (referred often as the Southern Atolls) are located in the most southern section of the Maldives, which surfers are continually reminded of when they arrive upon empty surf break after empty surf break. Although it may not be completely abandoned, fewer surf boats and surf charters operate in this area, causing even the most popular spots in this region to be less crowded than the Northern Atolls. Of all the Maldives surf spots, the breaks in the Southern Atolls remain among the most secluded and idyllic, preserving the reality of a remote island paradise that comes complete with incredible waves. Huvadhoo Atoll is best known for Beacons, Castaways, and Tiger Stripes, while Addu Atoll’s standout spots include Approach Lights, Madihera and Shangri-la. Beacons and Tiger Stripes are touted as two of the most powerful waves in the Maldives, barreling down fast and hard on to a fringed an eerily shallow reef—a common feature of southern surf spots. ✔ Airport meet & greet by the ground services. ✔ Group return Male airport transfers. (Individual transfers at extra cost). ✔ One way domestic flight for trips starting or ending in Central Atolls. ✔ Use of on-board equipment basic snorkeling & fishing gear. (Equipment is basic hand lines and mask / snorkel; if you are wanting quality gear please feel free to bring your own with you). Huvadhoo and Addu Atolls (referred often as the Southern Atolls) are located in the most southern section of the Maldives, which surfers are continually reminded of when they arrive upon empty surf break after empty surf break. Of all the Maldives surf spots, the breaks in the Southern Atolls remain among the most secluded and idyllic, preserving the reality of a remote island paradise that comes complete with incredible waves. Although these waves tend to be smaller than some of the more northerly atolls, the south-facing coastline really opens the breaks up to the southern swells that flood the area in the summertime. Since a clean southern swell is about all you could ask for at these breaks, the result is waves with a ton of power and heaps of opportunities to get shacked. The waves you can find in Southern Atolls are the kind of waves you keep reliving days, weeks, and months after your Maldives surf trip has come to an end. Once you have landed in Male you will be picked up by your hosts and can simply relax and fall into surf adventure mode! Central Atolls trips include one-way domestic flight. "Was an amazing trip! 10 days form Laamu to North Male! It was wonderful to feel a peaceful isolation in Laaamu & Thaa Atolls, and of course the crew that catered for all the levels on the boat. The crew kept us safe, well fed and relaxed for the whole trip. " "We found the Heriyana 1 was spacious and comfortable for a group of 12 people, we had easy access to the breaks and as many surfs as we wanted throughout the day, all in all ot was a most enjoyable surf experience and will be looking forward to another one on the near future. "